Feed Mill process or a complete facility. Sterling Systems & Controls designs and provides equipment and software for custom systems using Allen-Bradley PLC’s and desktop PC’s running Sterling Systems’ customized Windows-based Automation Software. Sterling’s forty-five plus (45+) years of Feed Mill process and Feed Mill automation experience ensures quality and efficiency in both hardware and software. While the pelleting process has historically been done manually, the Sterling Systems & Controls pelleting system uses your production requirements and formulas to create a customized and fully-automated pelleting process. Upon starting the main pellet mill motor, the Pellet Mill control application will start running the feeder at a predetermined speed when the idle condition on the pellet mill motor is reached. The startup feeder speed is determined by the hot or cold parameters. After the pellet mill electrical current threshold value is reached (shown on main pellet mill screen), the steam valve is opened to a preset setting based on hot or cold die parameters. current set-point. When the mash temperature set-point is reached, the Pellet Mill application adjusts steam to maintain mash temperature. This continues for the duration of the pelleting run to keep the pellet mill operating at set parameters for the formula running. The Sterling Systems & Controls, Inc. 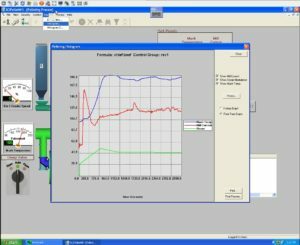 Pellet Mill automation application optimizes throughput and maximizes output from your Pellet Mill(s). 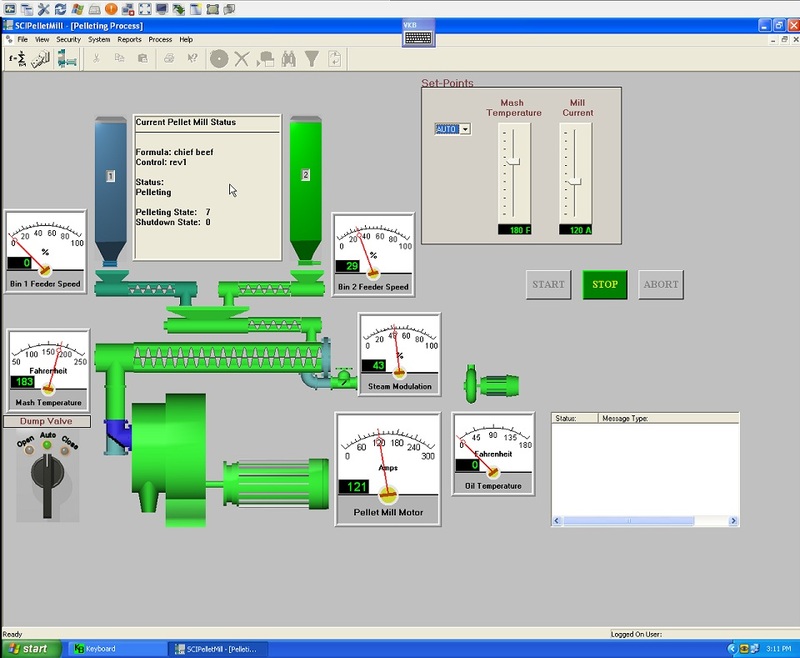 • Graphic display of all key parameters, including Mash Temp, Feeder Rates, Steam, Mill Current, etc. • Smart control monitors mill conditions.